Are you using Pinterest to promote and sell products on your Shopify shop? Pinterest is a powerful search and discovery tool for e-commerce. 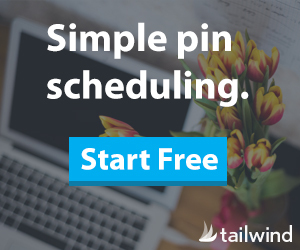 In this podcast, I talk with Kate Ahl of Simple Pin Media on how to market your Shopify store on Pinterest with simple Pinterest marketing strategies for blogging, SEO, and sales funnels. In this podcast, Kate Ahl of Simple Pin Media and I talk about how to use Pinterest with Shopify! Pinterest is a powerful marketing platform to use with Shopify. Shopify stores owners can use buyable pins (update: buyable pins are gone, but product pins will remain! ), retargeting campaigns, and Pinterest optimization strategies to help pinners discover products on Pinterest, ultimately driving traffic and sales to your Shopify store! We also discuss why having a blog is a crucial SEO strategy for succeeding as an e-commerce store and driving traffic to your shop from Google. Second, we discuss email marketing and how to turn visitors into fast fans who come back to your store over and over again. Lastly, we discuss creating pin graphics that get clicked, holiday campaigns, and hiring someone to take brand images of your products. Have a listen! You can get more information about Shopify on this post I wrote. Are you just beginning a Pinterest marketing strategy? Grab my Free Pinterest Start-Up Guide below! Want more tips to get started? See my introductory post Getting Started on Pinterest and don’t forget to sign up for my email newsletter below. You’ll receive my FREE Pinterest Start-up Guide for your creative small business where I give easy actionable steps to getting started on Pinterest! Ready to automate your Pinterest marketing strategy? Learn from my How to Use Tailwind course! « What is the new Pinterest Communities feature?